It can be a challenge to finding the right software for racing teams. Since many of the popular programs and apps do just one main function, you need several programs to do it all. Think of how slow pit stops would be if only one service was performed per stop. It would take several laps for a car to receive tires, fuel, chassis adjustment and cleaning. The beauty of the modern pit stop is how smoothly and quickly everything is done. Some people even refer to it as an automotive ballet. 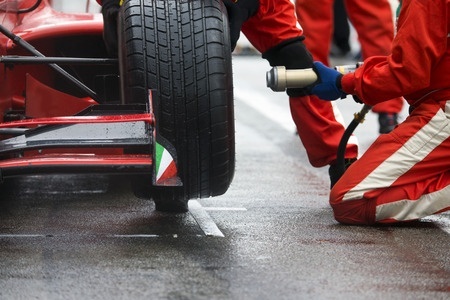 ProQ motorsports event software is a little like a well-managed pit stop. Individually, each of the administrative tasks it accomplishes isn’t anything that other software can’t do. But when all the tasks are done using one package, it’s like a great pit stop. So, jobs are done faster, errors are minimized and more synergies develop. Would you rather make one pit stop — or five ? ProQ is a type of “customer relationship management” software, or CRM. It combines information from different channels into one database so data can be managed better. ProQ enhances communication, improves business relationships, and makes administration easier. ProQ designers made it specifically for motorsports. It focuses on the common tasks needed by racing teams. The cost is only $50 a month for two users, so it’s affordable. Even small teams can step up their game with this software. They will get tasks done faster and will be able to interact with contacts in a more targeted way. The consolidation in one database increases accountability, continuity and communication. ProQ can give a racing team ways to collect data that it never had before. It can also lead to building new relationships and increasing revenue streams. Drive higher sales for merchandise and increase the number of fans. Take a look at this software for racing teams. You’ll be glad you did.